Patrick L. O’Toole is editorial director and publisher of Professional Builder, a 77-year-old publication that is read by 112,000 builders each month. In this capacity, he is also responsible for the editorial direction of Professional Remodeler magazine and HousingZone.com. 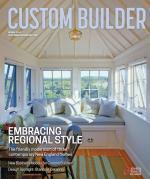 Previously, O’Toole served as editor and publisher of Qualified Remodeler magazine. He started his career as a reporter for the Associated Press in Chicago. He holds a B.A. from Miami University and a masters degree in journalism from Columbia College. In the fall of 1998, I attended my first Benchmark Conference as a new senior editor on Professional Builder magazine. What struck me about the gathering was the camaraderie among industry competitors. It was a large group, about 300 attendees, and yet it felt like a small reunion of old friends. And, as our columnist Scott Sedam told me when I met him there, not only was it a reunion of old friends, but it was also a continuation of the same conversation—how to sell more, build better, build faster and drop more money to the bottom line. In some cases the conversation had been ongoing for decades, predating Benchmark. Benchmark began in the early ’90s as collaboration between Professional Builder magazine and the NAHB Research Center, now the Home Innovation Research Labs. The conference was conceived as a forum for builder-devotees of TQM, or Total Quality Management. Winners of the National Housing Quality Awards were featured speakers at the multi-day event. For nearly 20 years, without interruption, the long, ongoing conversation about how to sell more, build better, build faster and drop more money to the bottom line was recast in new terms and new business ideas that came directly out of the quality management playbook—mission, vision, values; continual improvement; customer satisfaction; best practices; and, of course, benchmarking. Though quality management is not seen as being on the cutting edge of business thinking today, its practices and principles are proven to build companies with sustainable profits. Versus their peers, home building companies that have won the National Housing Quality Award have stood the test of time. In an industry that lost almost 30 percent of its companies during the downturn, only a handful of the 120-plus NHQ Award winners are not in business today. They have stood the test of time. That is why, as the housing market recovers, we are seeing renewed interest in the NHQ Award program, as well as a renewed interest in Benchmark. In January, in conjunction with the International Builders’ Show, we hosted a one-day Benchmark conference to highlight the achievements of a new class of NHQ Award winners. This fall, we will do it again, at the Marriott Camelback Resort in Scottsdale, Ariz. This year we are trying a new format—roundtable discussion groups of no more than 15 builders each, moderated by a leading builder executive. Tackling problems associated with topics as diverse as how to correctly staff up to meet increased demand and designing and selling homes for today’s younger buyers, Benchmark Roundtables 2013 is a unique, peer-to-peer way to get answers to your most pressing business questions. So I encourage you to join us in Scottsdale on Nov. 6 and 7. For more information feel free to reach out to Judy Brociek at [email protected]. Over the years, Benchmark has provided an opportunity for builders to take stock of their companies with an eye toward the future. And with demand for new homes set to grow dynamically in 2014, the time will be right to make final adjustments for the year ahead. We hope to see you there. Comments on: "Benchmark Roundtables 2013"